The new Beauty and the Beast movie trailer is basically on repeat in my world right now — I can’t stop watching. It’s a bit odd to think I am old enough to see my childhood favorite being remade, but I’m too thrilled to feel old, and too excited to take my kids to see it! 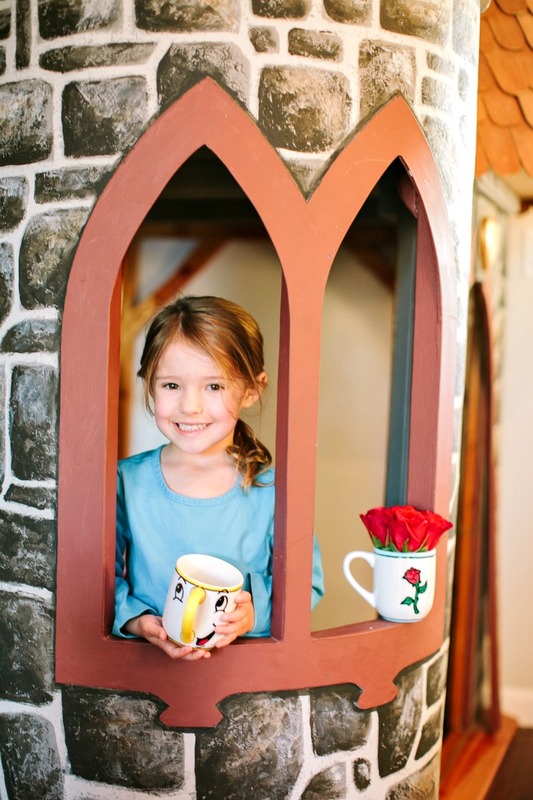 Beauty and the Beast is about transformation, and I decided to bring some of that Disney magic to life at my house this week. I’ve turned a plain, white mug into a Chip Mug! 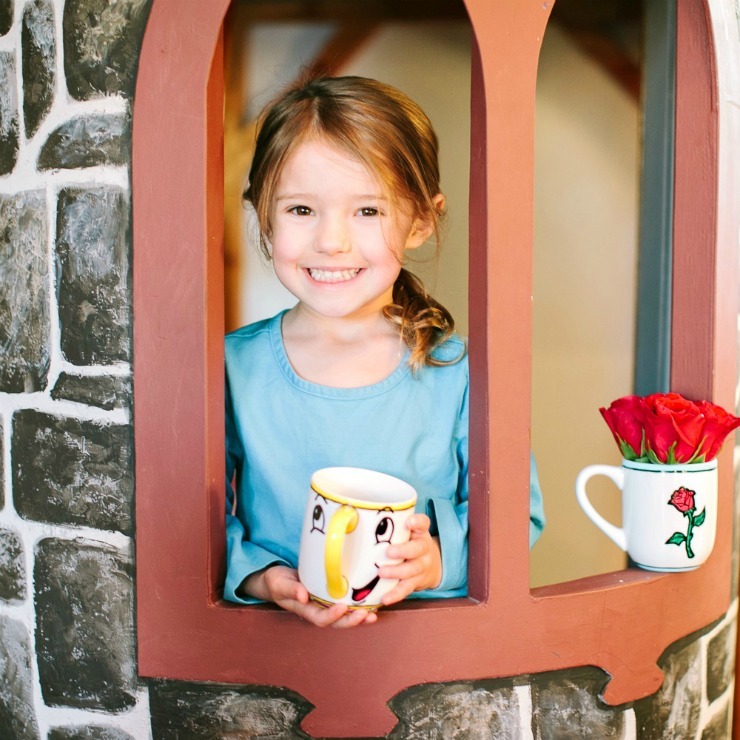 I loved it so much, I made a few other Beauty and the Beast inspired mugs and cute tea party cookie tags you can print for your own Beauty and the Beast tea party. To me, the most lovable character in Beauty and the Beast is Chip. 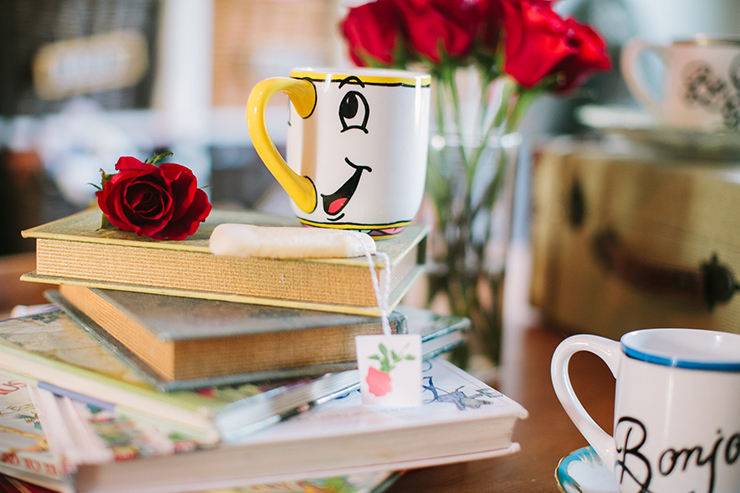 Maybe I have a soft spot for him because he loves his momma, Mrs. Potts, so much! 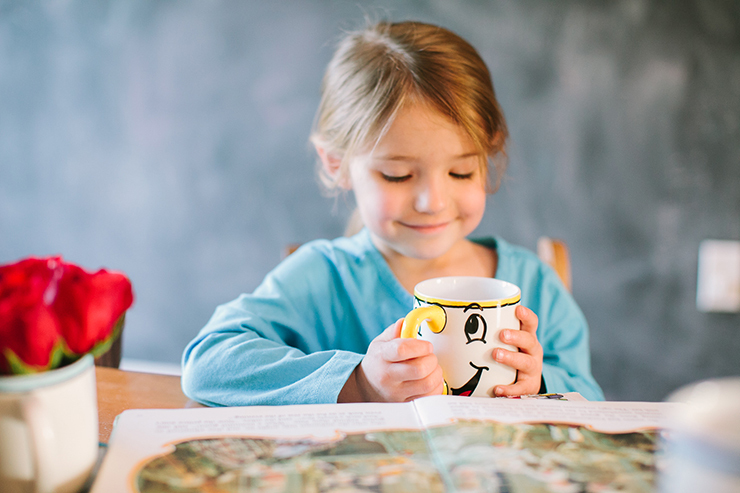 My kids always talk about how cool it would be if they had their own talking teacup, so with the help of my best friend, we created exactly that. 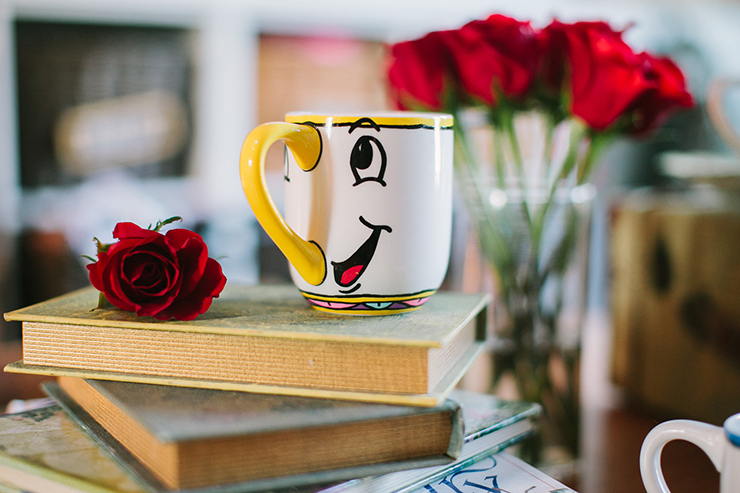 I have important tips for decorating mugs with Sharpies below and free printable Beauty and the Beast cookie tags. 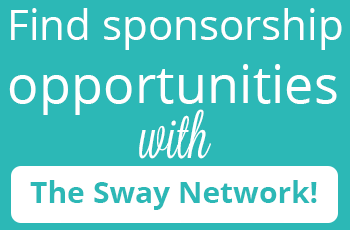 Make sure to read all the way to the end of the post, so you don’t miss them! The first thing you notice about Chip in the original cartoon is his gold handle nose. 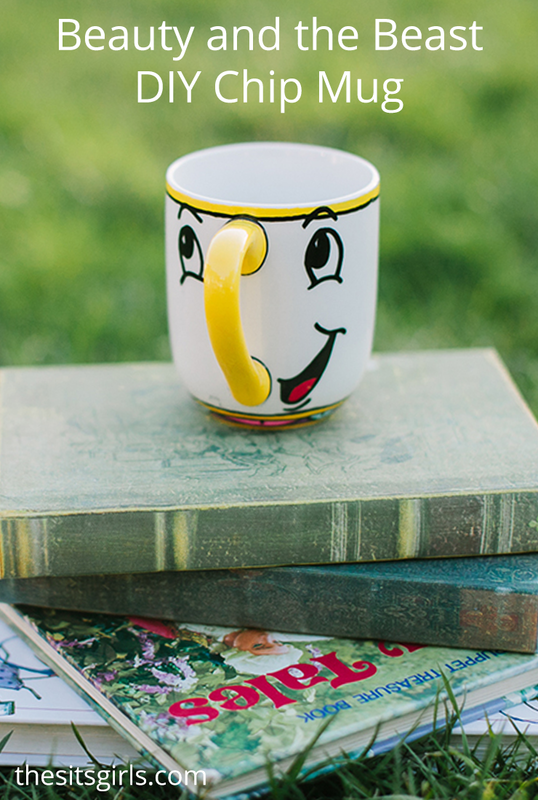 Color the handle of the mug in with your yellow pen, and then copy the multicolor design on the bottom. 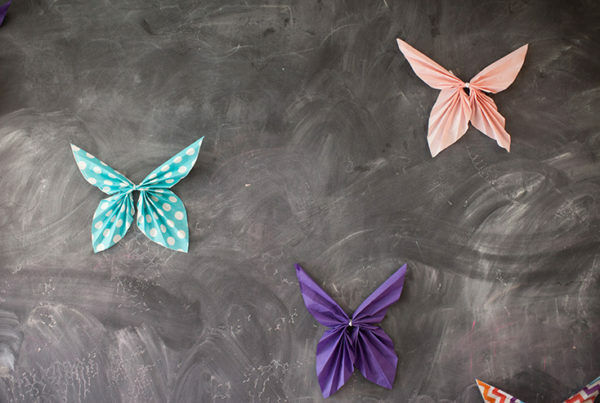 The design is easy — alternate pink, purple, and blue triangles. Outline it all in black once you have the colors filled in. Tip: Make sure everything is dry before you start lining in black. Draw Chip’s eyes on each side of the handle, and then add his cute tilted mouth! 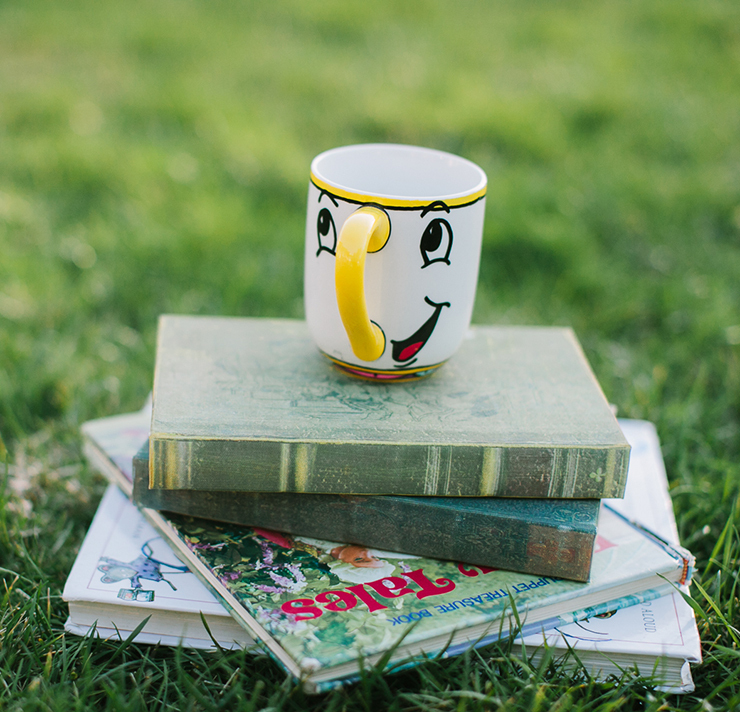 There is nothing more magical than drinking out of your very own Chip mug while reading fairytales! It’s so much easier to imagine yourself in the story! When drawing on the mugs, you need to make sure to use OIL-BASED SHARPIE PENS. Regular sharpies will not stay on when washed. Oil based sharpie pens can be found at any craft store, or on amazon. They are more like a paint pen. You will need to shake them a little before use, and then press on the tip gently to get the paint running. Tip: You can use rubbing alcohol to erase the oil-based Sharpie ink if you make a mistake. I followed Emily’s tutorial for DIY sharpie mugs, and it worked like magic. After you create your design, you will need to bake the mug. Bake at 350 degrees for 30 minutes. Baking the mug enables you to set the design. It’s an important step to make sure it will not wash off. It is best to decorate your mug, let it dry for 3 days, and then bake it. 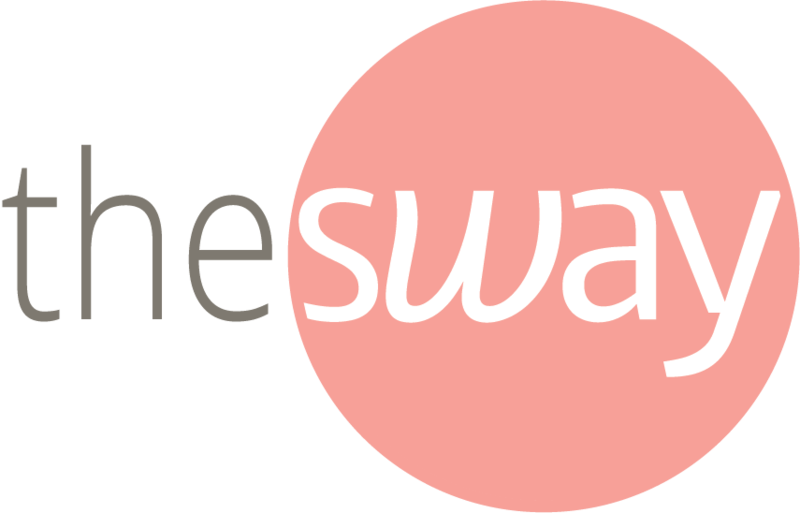 Additionally, after you bake the mug, let it sit for another 3 days to make sure everything is totally dry before the mug is used or washed. We actually have a “Be our Guest” sign in our guest room, and my husband is known to belt out the “Bonjour” song around the house in the mornings! So, naturally, those famous lines were going to be the next designs for our Beauty and the Beast mug collection. 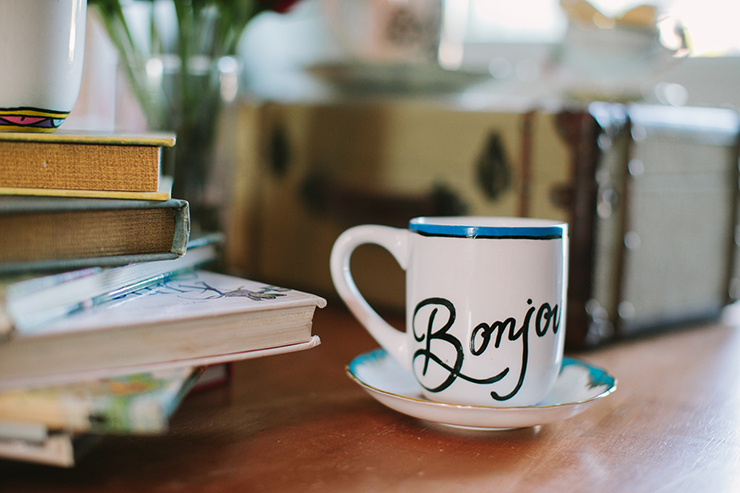 On the back of this Bonjour mug we wrote “Good Day!” Blue is the classic color that Belle wears in the beginning of the movie, so this was the natural choice to line the top of the cup! It’s a small touch that really brings the design together. How can you not have a good day drinking your coffee out of this mug? 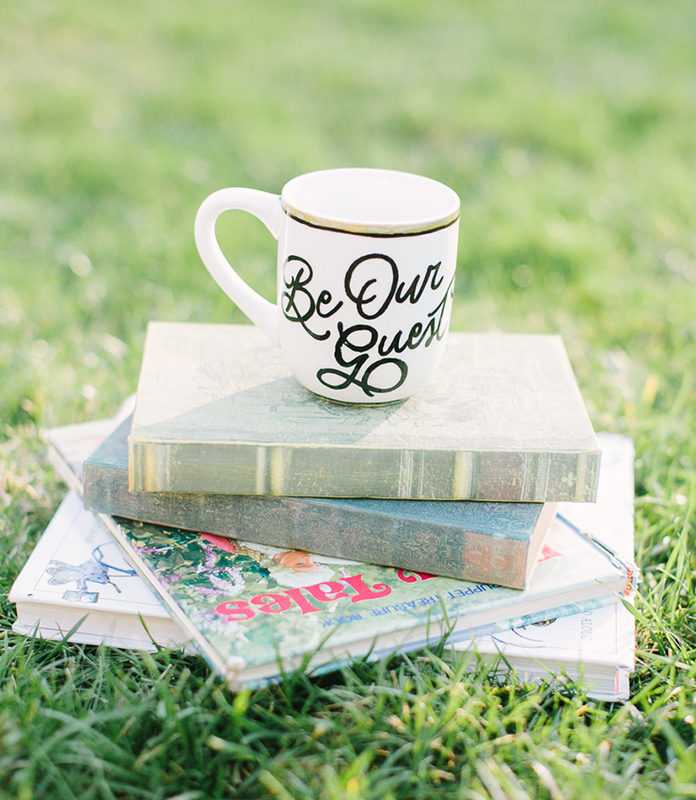 The next one is the perfect mug for when you have company! 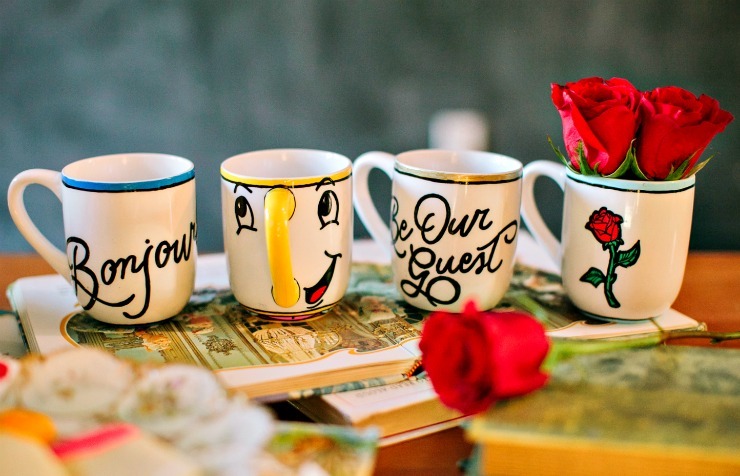 Let your guests drink out of the “Be Our Guest” mug. 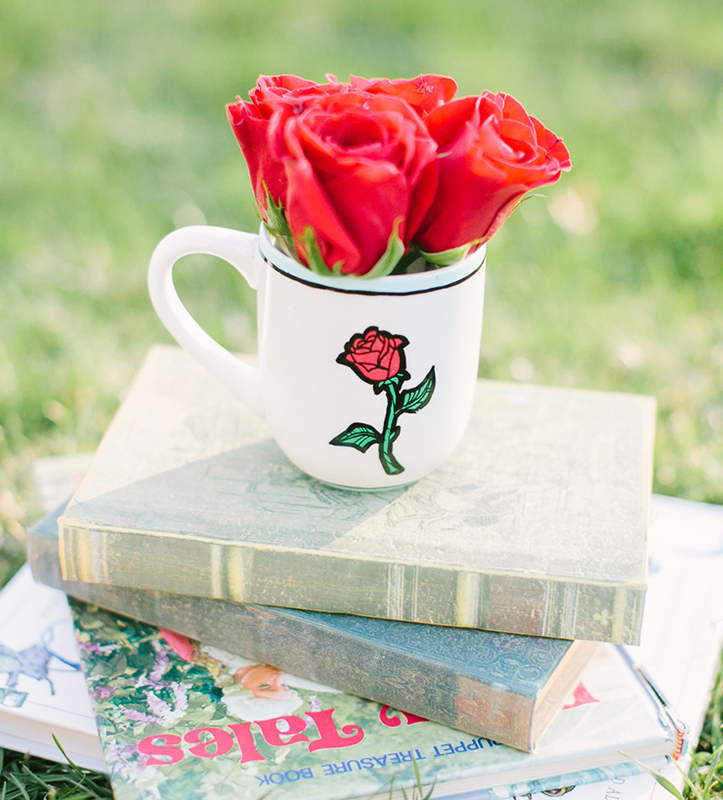 For the last and final mug it clearly had to have something to do with roses. Everybody remembers watching Beauty and the Beast and wondering if the rose would wither and die before the Beast and Belle fell in love! For this design it is best to draw your general rose using the red and green colors, and then go back and outline in the black once the basic rose design has dried. 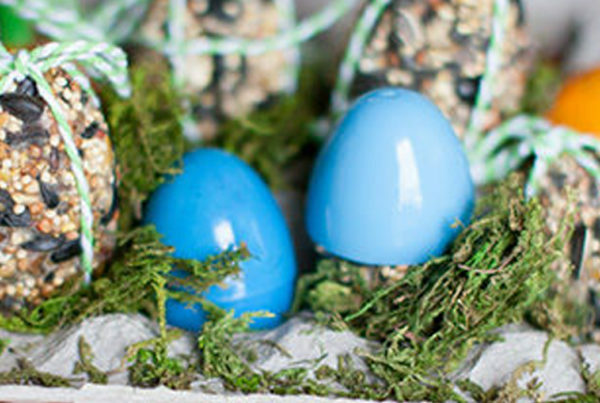 Tip: Use a fine tip oil-based Sharpie pen for the small detail! 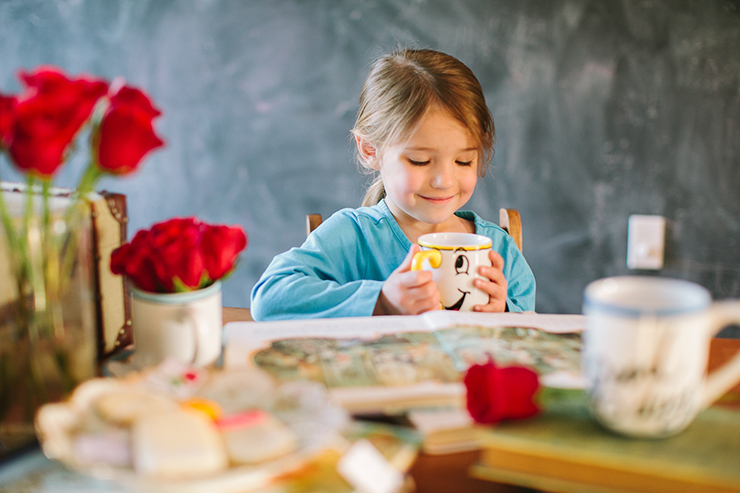 Mugs and tea go hand in hand. I have dreams of sitting and reading while sipping tea. Does this ever actually happen, in my real life? NO! But, just like Belle, I know there must be more than this provincial life. 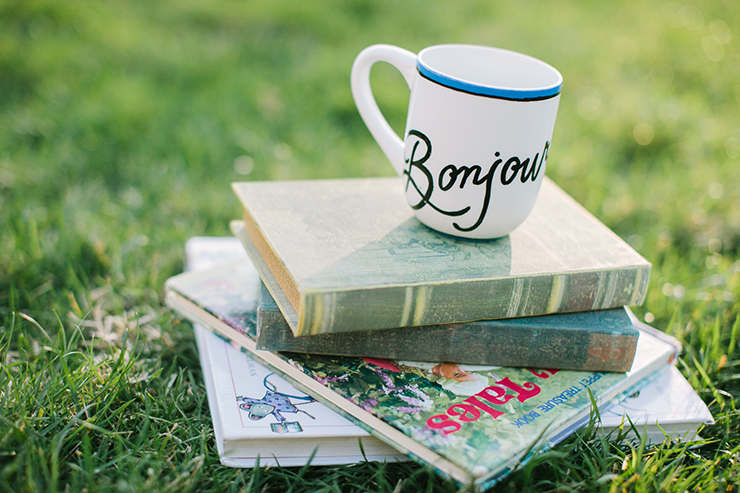 One day I will read with a cup of tea every afternoon. A girl can dream, right? 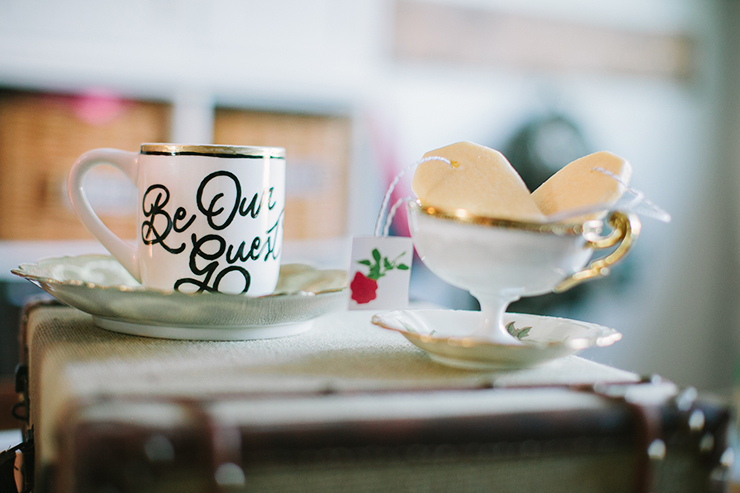 In honor of my new mugs, I made tea bag sugar cookies, and added cute Beauty and the Beast labels to them! 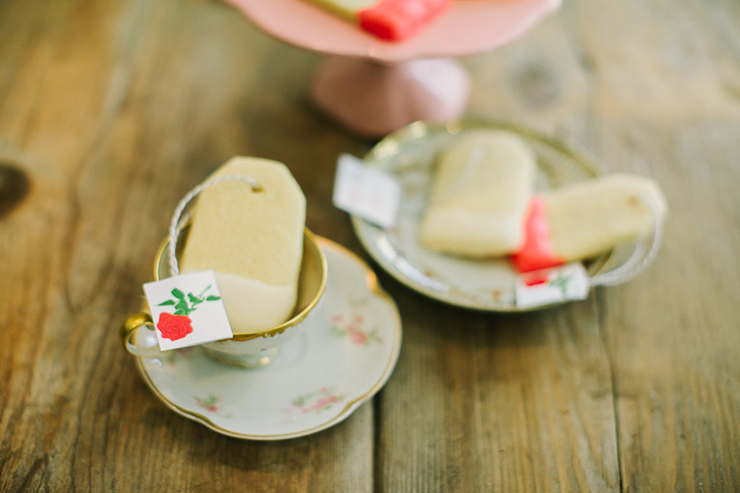 They were a perfect match for our little Beauty and the Beast tea party setup! 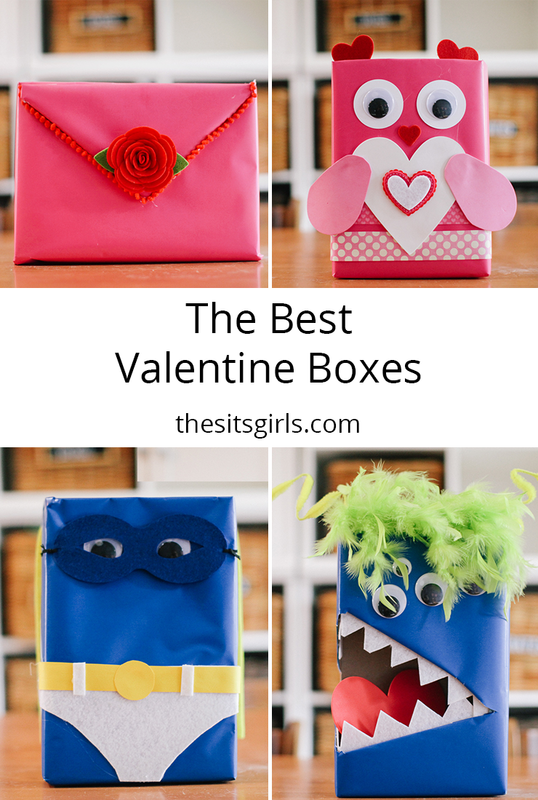 My daughter devoured about 3 of them while we leafed through some story books. 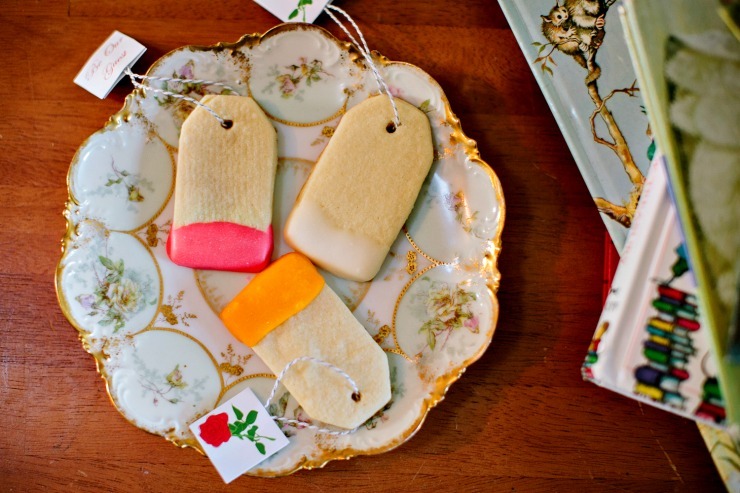 If you want to make your own Beauty and the Beast tea party cookies, grab our free tea bag cookie tag printables here! We will be counting down the days until the new movie is released, and we can see it magically unfold before our eyes! *Shout out of thanks for Kelli Seeley’s beautiful photography and emlaurenVO’s beautiful artistry and help with mug designs. That mug is so adorable!